I like to know a little about the people who write the adventure reports I read. So here ya go, Tom and Heidi Junkans: We met on Main street Hayward Wisconsin during the Lumberjack world championship weekend. On our first date Heidi told me that I was not the man for her, she wanted someone that would take her to live on an island. I said “You hang with me a few years baby and I’ll sail you to an island” Six years later we sold everything, packed two backpacks and landed on the Caribbean island Hispaniola. We spent two years living as Caribbean adventurers, windsurfing and exploring the island by motorcycle. (Report)That time on the island was filled with extreme highs, big lows, constant corruption and many challenges. The North coast of the Dominican Republic is a fantasy island scene with all the drama and action that can make a good adventure novel. That was the mid nineties. Back from the Caribbean and back to our same jobs and another eight years later, we were feeling the need to do something again. We thought maybe the Dominican Republic “again” but after our motorcycle cruise to Belize in 02’ (Ride Report) we realized we had to check-out some more of this big bad world. At the end of 04’ I managed a nine month leave of absence from my job, Heidi had to quit hers. We rigged up our old and rusty 1990 jeep Wrangler and drove south into Latin America (Jeep Report) . What a blast, but it just went so fast. The "-No Return Ticket-" motorcycle adventure was the coolest motorcycle ride ever, and Heidi and I did it together. We returned as new people with a Master's Degree in ourselves and the world around us. After a couple more years of working and saving money, we knew we had to execute one more adventure before Returning fulltime. So, it's back to the Dominican Republic for six months. 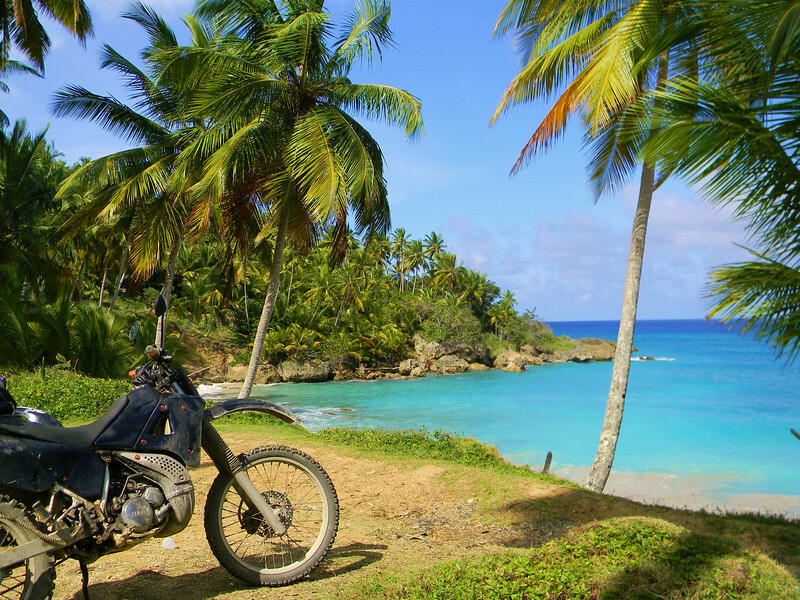 Check it out Six month Caribbean Motorcycle Adventure - The best ever! Alright! It feels like a lifetime sense the last update. 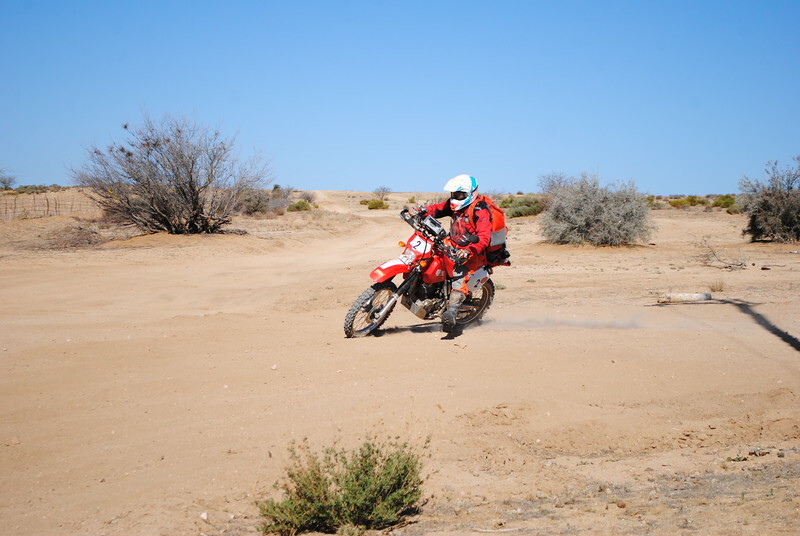 We are back from the DR now and have pumped up our game a little, now its Ironman motorcycle racing in Baja Mexico. This has gone past the original website theme of ‘inexpensive’ and ‘safe’ for independent adventure travels, but I still feel this fits with the original website theme ‘inspirational’ if I can race a motorcycle off-road for over a thousand miles through the Mexican Baja desert at age 59, and finish and place well, and never have raced a motorcycle before, this fits ‘inspirational’ ;) So let’s go and continue this adventure thing ;)!